Pipilotti Rist. 4th Floor To Mildness, 2016. Audio-video installation with sound by Soap&Skin. 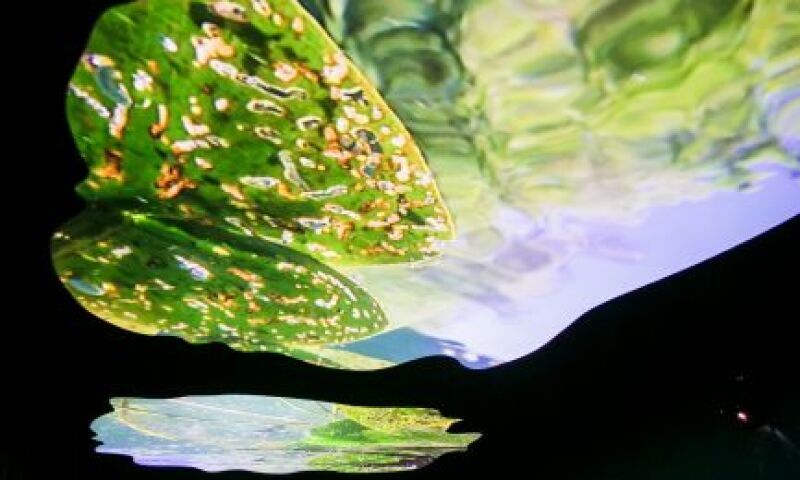 Installation view from 'Pipilotti Rist: Sip My Ocean', MCA Museum of Contemporary Art, Sydney, Australia, 2017. With the first major presentation in Denmark of Swiss artist Pipilotti Rist, the exhibition in the museum's South Wing presents the work of one of visual art’s most conspicuous researchers of the senses in moving pictures. Since the middle of the 1980s Pipilotti Rist (f. 1962) has continuously explored, challenged and exploded the potentials, rules, conventions and limitations of a constantly evolving palette of video technologies. In her works, video is not just video, but also painting and space. Rist’s work is at one and the same time high-tech and sensual, radiantly colourful and critical, weightless and body-bound. The camera is brush, eye and sense of touch, and the fusion of major themes revolves around the body, technology, the sensory and the sensual, gender, nature, inner and outer space, our arrangement of and being in the world. The exhibition will span the whole output of the artist’s oeuvre — from early works in the TV format to large spatial video and audio installations with projections on ceilings, walls and floors. The exhibition, created for Louisiana in close collaboration with the artist herself, takes on the character of a site-specific immersive installation and continues out into the museum park.